Video: "Best Years" (The Century: America's Time) To watch it directly on YouTube in full screen, click here. For part two, click here. For part three, click here. 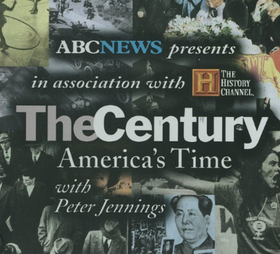 Video: "Happy Days" (The Century: America's Time) To watch it directly on YouTube in full screen, click here. Click below for the handout, lecture, and cartoons for doing the activity. You will have to listen to the lecture before doing the activity. Click the link below to look at a large PDF version of the cartoon collection. Or watch the mini-slide show below the link. Use the thumbnails at the right of the slides to advance the slides. Handout instructions: Re-read the information on the lecture side of the handout. Then look at the slides and match the letter of the placard (picture card) to the correct term. Write a justification for why that cartoon matches that slide using the information in the slide and in the lecture notes. Be sure to put more than one justification. 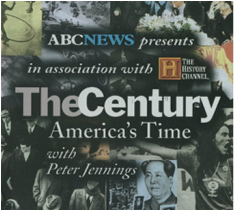 Video: "Poisoned Dreams" (The Century: America's Time, 1960-1964) To watch it directly on YouTube in full screen, click here.